Hi there! 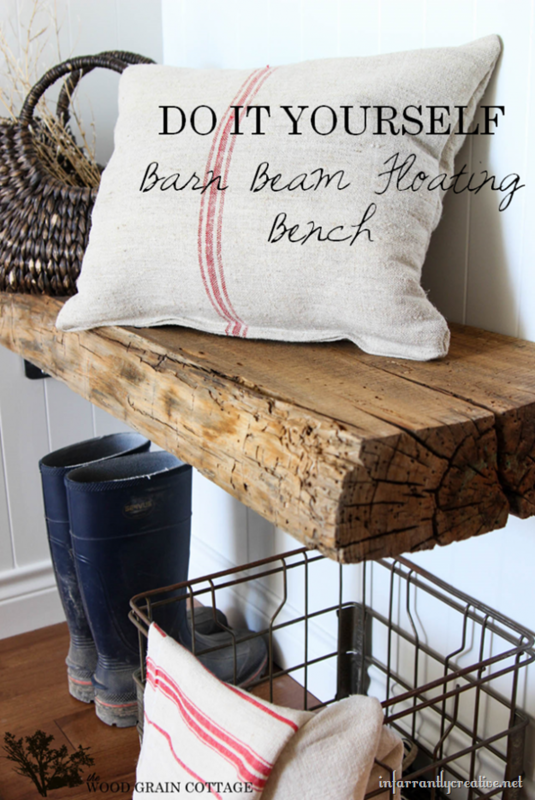 I’m Shayna from The Wood Grain Cottage and I’m back to share another project with you! 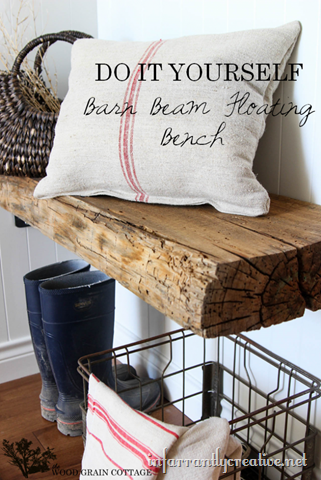 We’re in the process of giving our small mudroom a makeover, so today I’m sharing our barn beam floating bench made from an old reclaimed piece of wood.